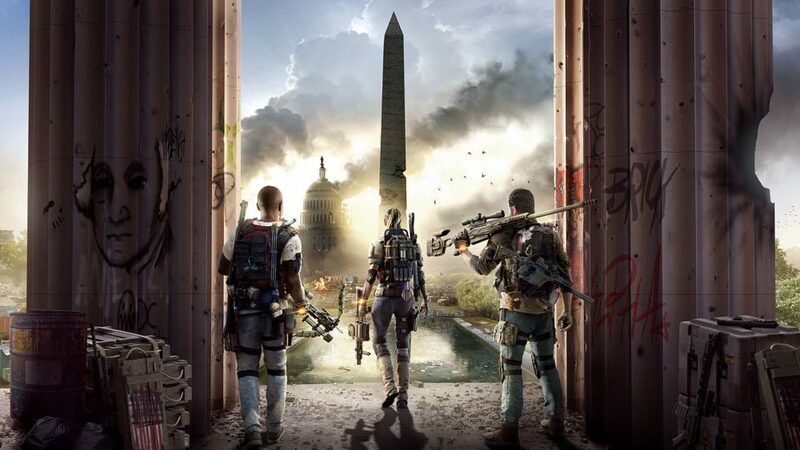 There are a bunch of NPCs you’ll have to converse with while you’re playing through The Division 2‘s campaign, whether it’s the Quartermaster at the White House or just one of the settlement leaders. One such NPC you’ll eventually need to track down is Henry Hayes for a particular mission, but some players are having some issues tracking him down. Here’s where to find Henry Hayes in The Division 2. Henry can be found in ‘The Campus’ settlement just to the west of the White House. You’ll naturally come across The Campus as you’re playing through The Division 2’s story, so don’t worry too much about having to venture out of your way to track this place down. Once you’re there, you’re looking out for a grey container right next to the Administration desk. This itself can be found just past the tree right in front of you as you enter this settlement. Once you’ve spotted the grey container, which will have the settlement’s stats on the side of it, you’ll simply need to head over to the door and you’ll be able to press Square, X, or F to enter and meet Henry Hayes. Unfortunately, however, it appears as though some players are coming across a bug that prevents them from heading on inside the container to speak to Henry Hayes. As such, they’re unable to progress any further through the game’s story, which is pretty problematic considering many players want to begin grinding the end game to increase their gear score and prepare for World Tier 5. The good news is, Ubisoft is aware of the bug and are currently investigating it. The bad news is that, as of three days ago, Ubisoft still hasn’t actually fixed the bug. It’s likely that this will come as part of The Division 2’s next update or patch, but there’s no word as of yet on when that’s due to drop. There you have everything you need to know regarding Henry Hayes’ location in The Division 2. For more tips, tricks, and guides, be sure to check out our ever-expanding guide wiki.